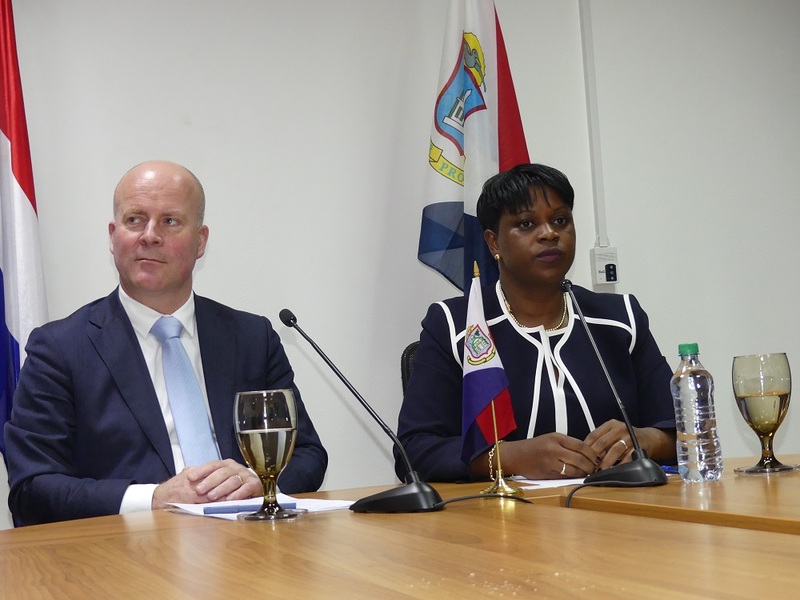 THE HAGUE — St. Maarten will only get liquidity support from the Netherlands in 2019 if it complies with several conditions the Kingdom Council of Ministers has put in place. “These conditions see – among other things – to the detention capacity, the remuneration and fringe benefits for members of parliament, the deployment of the National Police and pension reform,” State Secretary Raymond Knops (Kingdom Relations) wrote in a letter dated April 5 to the Second Chamber. While the letter does not mention further details, the Kingdom Council of Ministers apparently demands that the country increases the detention capacity at the Pointe Blanche prison, that members of parliament give up a part of their income and fringe benefits and that the government increases the retirement age from 62 to 65. A further demand is that St. Maarten accepts the deployment of the Dutch National Police on its territory. The Cft expressed in the same letter its disappointment about delays in pension reform. The new retirement age of 65 should have gone into effect per January 1, 2019 and the relevant legislation was submitted to parliament in 2018. Parliament still has not taken a decision about this use. The Cft stated that it would consider the consequences of this delay (additional costs for the government) in future advices about liquidity support. The Kingdom Council of Ministers is now using its offer for liquidity support as leverage to force the government and the parliament in Philipsburg into action. In 2017, St. Maarten received €22.75 million ($25.5 million at the current rate of exchange) and in July 2018 the Netherlands chipped in another €15.3 million ($17.2 million) to enable the government to pay its bills. This money – $42.7 million in total – was taken from the World Bank trust fund. For the remainder of 2018 and for 2019 Knops estimates St. Maarten’s need for liquidity support at €100 million ($112.2 million) max. This money will not come from the trust fund, because it would go at the expense of reconstruction efforts, the state secretary wrote. Instead, the liquidity support will be provided through a so-called current tendering procedure – the same way the country obtains loans for capital investments. “The decision has been taken to link liquidity support to progress in the field of financial management, in cooperation with the World Bank,” Knops wrote. The liquidity support will be paid out in a maximum of four tranches per years. Three percent of the total of €100 million (€3 million – $3.12 million) will be earmarked as a risk provision, because the liquidity support is not covered by investments.